My two spring shows, the Arts and Conservation project and the Parade of Artists, have come and gone and I have two main observations. One: the fine-art market is still depressed, and two: the appreciation of fine-art is still alive and well. As an artist I'd like to believe that fine-art is an intrinsically important and valuable commodity to the general public. But reality and common sense make it plain that it is not as important as things like food, gasoline, and a place to live. Imagine that. I first noticed the downturn in my own sales about four or so years ago– the same time that the US and world economies took a heavy hit and have yet to recover. People and corporations alike not only have less cash reserves but are still uneasy where this is all headed. They are loathe to spend money on anything not a necessity. And art certainly falls in that category. Let's face it– fine-art is a luxury good and I don't expect to see brisk sales until the economy in general rebounds to a rosier outlook. The second observation is that people still have a keen interest in and appreciation of fine-art. At my second show venue I was together with eight other artists. Although I was back in the far corner from the entrance to the facility there seemed to be not only good traffic through my booth, but those coming through seemed to be generally animated and upbeat about what they were seeing. One young couple, in particular, stuck in my mind as being particularly interested in my work. I spent probably fifteen minutes or more talking with them about the photographs they were looking at. And they were not only interested in the photographs themselves, but wanted to know in detail the background of why I chose the specific artform that is my forte and how each photograph came about. I was almost certain I would make a sale, but, alas, it didn't happen. In the end, however, I was gratified that someone seemed to deeply appreciate my work, sale or not. Later that night my wife and I spoke about some of the events of the day. She had volunteered (thanks again, "Pootie-Pie!") to act as our wine and refreshments "wrangler" for the two evenings and had been stationed at a different corner of the large room. Her location gave her a different perspective from my own and her perch allowed her to witness the interaction of the show patrons and many of the artists. Before I had said anything she mentioned a young couple (turned out to be the same ones I had remembered) that stopped at the booth of every artist and engaged each of them in extensive and intense conversation about them and their work. She said it was great to see these young people with such an appreciation for fine-art. Although it somewhat deflated my estimation of the uniqueness of their appreciation for my own work, it still gratified me to see that awareness, comprehension, and affection for fine-art in general is still out there. For those of you engaged in producing art, but have been discouraged of late concerning your sales, just "keep on keepin' on," because there are still many out there who are interested in what you are doing. the Cibolo Nature Center on Thursday evening. It is hard to beat the beautiful combination of spectacular spring weather, good food and drink, stunning musical ambiance, engaging exchange of thoughts, and compelling art. These were marvelously evident at the special opening of the "Our Hidden Treasures" Art and Conservation project at the Center. I never tire of hearing what people are thinking and feeling when they experience creative works. And it is equally fascinating to listen to an artist lay out their own process of producing these works. Art is about communication, and communication is, itself, an art to be appreciated. I look forward to the rest of this weekend as I transition to representing my work in the "Parade of Artists." I love rubbing elbows with fellow artists who have such a desire to express the recesses of their hearts to others. And also I love hearing from those who come out to appreciate these creative efforts. Side note: you can read a brief article on me and my work in the April issue of the Boerne Chamber of Commerce newsletter here (check page 23). Having recently delivered my two pieces to the Conservancy project I am now finalizing selection of the pieces I will be exhibiting in the Parade of Artists, a production of Boerne Professional Artists. 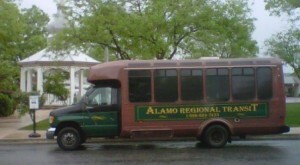 This show will also be running in Boerne on Friday, Saturday, and Sunday of this coming weekend. The show will be hosting about thirty professional artists at various locations throughout the city. As most of the members of Boerne Professional Artists are represented in some of Boerne's fine-art galleries, they will be on hand as their galleries host an opening of the show on Friday night, complete with complementary wine and hors d'ouevres. I am one of the dozen or so so members who are not represented in Boerne galleries, and we will be exhibiting our work on "other walls" at a few different venues in Boerne. I have joined with eight other artists to form a temporary "atelier" (gallery/studio) at the Boerne Chamber of Commerce just across Main Street from Boerne's Plaza. We will also be hosting an opening on Friday evening with wine and food. The Parade will be an incredible smorgasbord of fine-art, encompassing a diverse spectrum of mediums, styles, and sensibilities. The talent of the participating artists is first-class, and the level of their work is remarkable. Of course, all work is for sale and you are sure to find some piece that you "can't live without." You will find works of oil paintings, pastels, watercolors, sculptures (bronze, stone, and more), photography, and MUCH more. As I mentioned, the opening festivities will be on Friday from 5 to 8PM, and includes wine and food at most locations. The show continues on Saturday from 10AM to 8PM (again with wine and food from 5 to 8PM). Also, a free trolley from venue to venue is available both evenings. 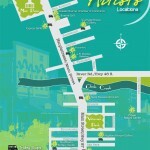 It embarks from the Chamber of Commerce on the northside of Boerne (beginning at 5PM) and takes approximately 30 minutes to make the entire route.The show wraps up on Sunday from 12 to 4PM. Come join us this weekend in Boerne for a great show of some wonderful art, pithy conversation with their creators, and some wine and culinary treats while you're at it. And don't forget to take a favorite piece home with you, to enjoy for years to come! Life sometimes seems in a "neutral gear" mode when to all outside appearances nothing of significance is happening. Then, suddenly, a flurry of activity is upon you and you wonder if you are going to keep up with it all. 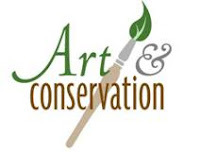 As I have mentioned a few times over the previous months I have been visiting a large and special parcel of land in the Hill Country of Texas with the goal of producing at least one work for the "Arts and Conservation" project of the Cibolo Conservancy. Although I have been wondering how it would all turn out, I am pleased with what finally came about through these efforts. The project happens only once every other year so it is wonderful to be a part of this infrequent event. The work I have chosen for exhibition in the show is titled "BEFORE THE FALL." This panoramic photograph takes in numerous cypress trees along a mostly unvisited stretch of the Guadalupe River between Comfort and Twin Sisters, Texas. I have produced the image in my special archival process on canvas and framed it appropriately in a fairly rugged, yet elegant, dark wood. The pallet of soft green and muted orange of the autumnal leaves of the cypress trees plays a counterpoint to the hard, textured surfaces of the trees' trunks. "Living things— displaying scars of their battle with the elements, and yet ever new with the soft evidence of recent growth and renewal. These are the venerable cypress of South Texas. The Kilpatricks' conserved parcel on the Guadalupe is an extraordinary space where these botanical giants dance with water, sky, rocks, and deer. Although cousins of the evergreen conifers, these goliaths of the Hill Country are just turning from the green of summer to the amber/orange of autumn and will soon drop their leaves, to be swept away by the river below." "Water and stone constitute the "warp" and "woof" of this unique landscape textile that the Creator has woven in Pedernales Falls. The organic softness of liquid contrasts with and complements the durable and inert nature of hard rock– but in the end the water has its way and changes the face of the stone through erosion. Most visitors to the Park see it in the bright light of day, but I composed this image just after sunset, when the crepuscular light had tranfigured the landscape into a dark garden of mysterious beauty." Both of these photographs are available in very limited editions of only eight photographs each and were produced, mounted, and framed using exclusive archival, museum-grade processes. The full size of both framed works are 48 inches long by 14 inches high. The initial retail price of each will be $700 and when the editions are sold out, no further images will be produced. You can see both of these images in person (and all of the other wonderful art!) 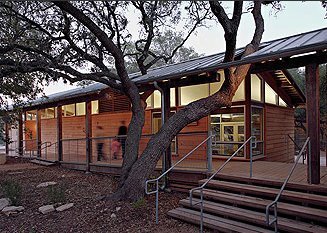 at the "Arts and Conservation" show, "Our Hidden Treasures," at the Cibolo Nature Center, in Boerne, Texas (check out these links for the location and details). The show exhibits art works of diverse media (not only photographs!) and will be open to the public from 10 a.m. to 8 p.m. April 12 and 13 (FRI-SAT) and from 11 a.m. to 3 p.m. April 14 (SUN). As it often seems to happen I have extended lengths of time when no shows are scheduled, and then suddenly multiple things seem to happen at once. This has been the case over the past few weeks as I have been preparing for two shows which will be happening simultaneously this coming weekend. The other show, Boerne Professional Artists' "Parade of Artists," will be happening at the same time— more on that later.